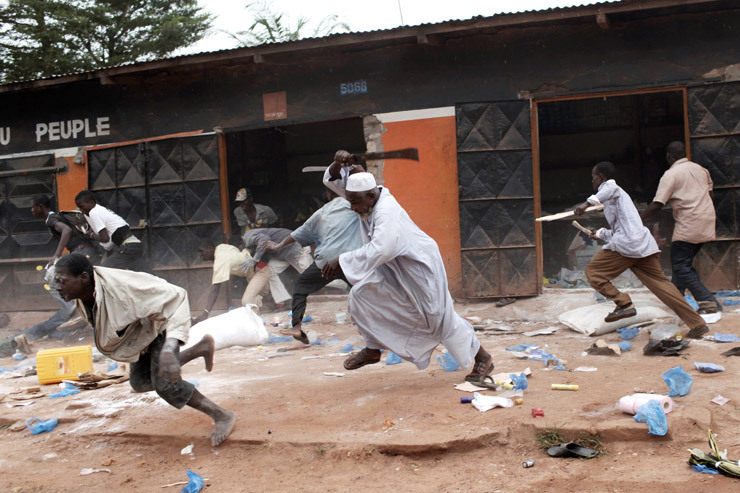 Two Catholic priests were beaten, one shot in the leg when gunmen suspected to be Fulani herdsmen attacked a minor seminary in Jalingo, Taraba State capital. During the attack which some students were injured and many cars destroyed. While the persons injured were said to be receiving treatment at the Federal Medical Centre. The Director of Caritas Nigeria, an agency of the Catholic Church, Rev. Fr. Evaristus Basseyt said, “Please Frs, pray for us. Our minor seminary in Jalingo has just been attacked by the Fulani, some students are injured, some cars destroyed, two priests beaten and one shot on the leg. They are currently receiving treatment at FMC.” Bishop, Most Rev. Charles Hammawa of Jalingo Diocese, I Rev. Fr. Emmanuel Atsue (the Rector) want to announce and inform Nigerians and the international community that our diocesan Sacred Heart Minor Seminary was attacked in the early hours of this morning 28/05/2018 at about 12:30am by sophisticated armed Fulani Herdsmen. They shot sporadically at the Rector's residence, broke window glasses in the process, (litered live bullets were collected by police) windscreen of one of the vehicles belonging to one of the priests, they shot and injured one of the priests Rev. Fr. Cornelius kobah on the leg, beat up Fr. Stephen Bakari. . Let us continue to pray for and work for peace in Nigeria. My prayers & thoughts are with you all.